Happy Friday, everyone! Are you guys having fun in July so far? It has been a very busy month for me because I have to update a lot of things on blog! 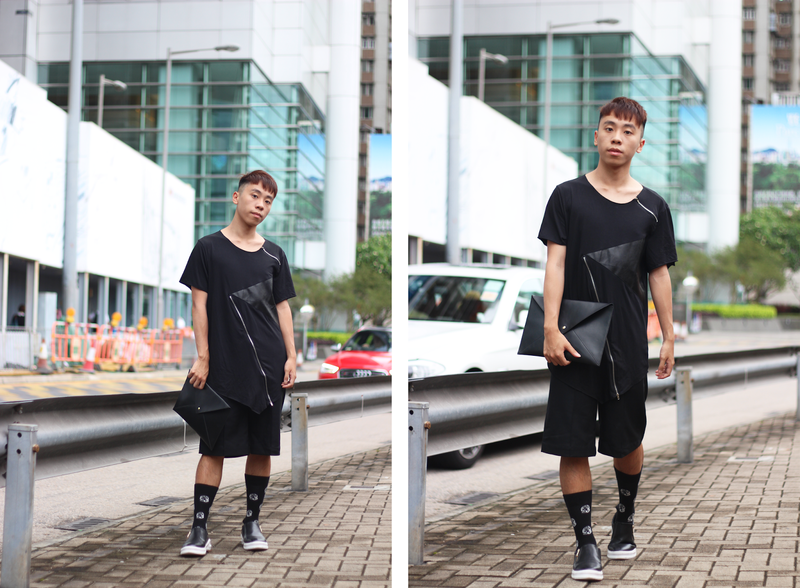 For this post, I am sharing one of the most easiest way to look cool and fashionable in all black. In the past, I love wearing all black. I am not saying I do not like wearing all black now. I just figured out that I have not worn whole black look for a while! As usual, if you want to look more fashionable in an easy way, you just have to change some little details of clothing. Therefore, for this look, there are two things which can enhance the whole look. 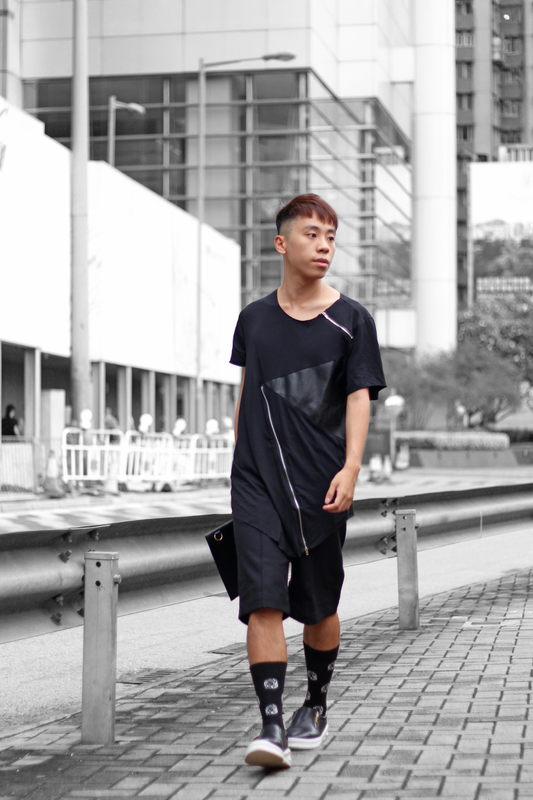 The first one is to wear extreme longline oversized clothing. Therefore, I was wearing a oversized black t-shirt. It also have some zipper details in it. Another uniqueness of this black outfit is the long socks. It is always a great idea to wear long socks during summer time if you wear shorts. You can look amazing without feeling too hot. Do you guys love this look? Let me know about your thoughts! I love the details with this outfit--the zippers are so cool! Uhhhh I love the socks, such a cool print. Love this monochromatic look! SO sharp! This outfit very stylish and beautiful!!! YES DANIEL! Loved your look. I'm such a fan of the all black look, I think it looks amazing on everyone! You're killing it!! Loooove this! Especially those socks! I really like the black on black look! Very bold black on black look! Black never goes out of style, Looking handsome dude. Such a great post - love the outfit, so stylish! I love your top and the different texture and zips on it. It's very cool. only the most beautiful dresses clavonna.com white wedding dress reviews images are meant for a perfect beauty like you clavonna.com mither of the bride dress reviews !